Do Lord Phillips, Baroness Hale and other members of the judiciary have the right to say what they think? At first glance that seems like a ridiculous question. Firstly, it is their job to express their views on the legal disputes coming before them on an almost daily basis. Secondly, to look at it from an entirely different perspective, they enjoy the same protections granted by article 10 of the European Convention of Human Rights (ECHR) as the rest of us. Of course they have the right to say what they think. But what about when they are acting in a non-judicial capacity – when they are giving speeches or participating in conferences or being interviewed? What about when the topic of discussion is not a narrowly defined legal point but a more politically charged issue of public debate? The answer must be the same. They have the right to express their views, but whether or not they should is a more nuanced question. This was the topic selected by the Lord Neuberger MR in his Presidential Address to the Holdsworth Club on 2 March 2012. The rationale of the Kilmuir Rules was to protect judicial independence, one of the cardinal principles of our constitutional system. Yet one might justifiably take the view that judicial independence is not the same as judicial aloofness, and thus the Kilmuir rules were abandoned by Lord Mackay LC in 1987, ironically on the basis that such rules were inconsistent with judicial independence. The view from the woolsack at that time was that judges needed to be able to decide for themselves when it was appropriate to speak out. And now, as the Master of the Rolls himself points out, how times have changed! From balking at invitations to participate in broadcasts about the great judges of the past (query whether in the eyes of the general public such a broadcast could be “fairly interpreted as entertainment”), to Channel 4 documentaries about the personnel of our highest court, and judicial appearances on Masterchef (you’ll have to read the address to find out who). Judges seem to be playing an increasingly active and visible role in modern society. There are a number of reasons for this. One reason that Lord Neuberger identifies is that with the recent constitutional reforms, our most senior judges have lost the ability to contribute to public debate as legislators sitting in the House of Lords – “the remaining avenues are almost inevitably likely to be more travelled”. Another reason might be that, pursuant to the nature of the jurisprudence that the ECHR has inspired in our legal system and the sorts of cases that judges are now being asked to decide, many judges now cannot avoid being seen to play an active role in the resolution of politically controversial issues, and with their increased involvement in such issues in the course of carrying out their judicial function, there is an increasing appetite for them to explain their understanding of their proper role. The incorporation of the Human Rights Convention into English law has significantly shifted the boundaries between political and legal decision-making in areas some of which raise major political issues, such as immigration, penal policy, security and policing, privacy and freedom of expression. It has also extended the scope of judicial review from ministerial and administrative decisions to primary legislation. Few Convention rights are absolute. Most of them are qualified in the Convention by reservations and exceptions on specified policy grounds, so far as these are held to be “necessary in a democratic society” or some similar phrase. Litigation founded on these rights almost always turns ultimately on the question what inroads into them are justified in the public interest. This involves a difficult balance between competing public interests, which is an inherently political exercise. By giving legal effect to the Convention, however, we have transferred it out of the political arena altogether, and into the domain of judicial decision-making where public accountability has no place. …the decisions of the courts on the abuse of discretionary powers are based, far more often than the courts have admitted, on a judgment about what it is thought right for Parliament to wish to do. Such judgments are by their nature political. By this I do not mean that the judges who decided them were politically partisan, but simply that they were dealing with matters (namely the merits of policy decisions) which in a democracy are the proper function of Parliament and of ministers answerable to Parliament and the electorate. This analysis is in itself an important contribution to an issue of public debate which is both legal and political in nature, and such commentary is arguably an inevitable consequence of the way our legal system has developed in recent decades. However, it may also open up the judiciary to criticism, or have an impact on both their individual and institutional independence (at the time of his address Lord Sumption was not yet sitting at the Supreme Court, but his appointment had been announced). 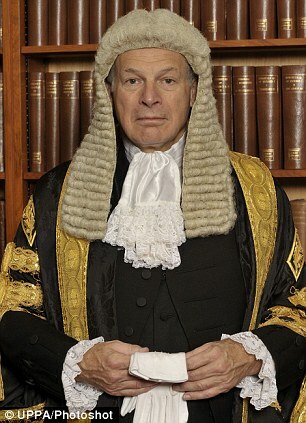 Thus, the Master of the Rolls in his address, whilst acknowledging that times change and that the tone of Lord Sumption’s comments was entirely seemly, encourages the judiciary to retain a degree of circumspection, at least when venturing to comment on more weighty issues than mango and passion fruit crème brulee.